DOJ Targets Hospice Care Providers – Oberheiden, P.C. In recent months, officials at several major hospice facilities around the country have been convicted of (or pled guilty to) Medicare fraud charges stemming from end of life care. In the most recent, an official of a Chicago hospice facility acknowledged guilt in a $7 million fraud scheme. 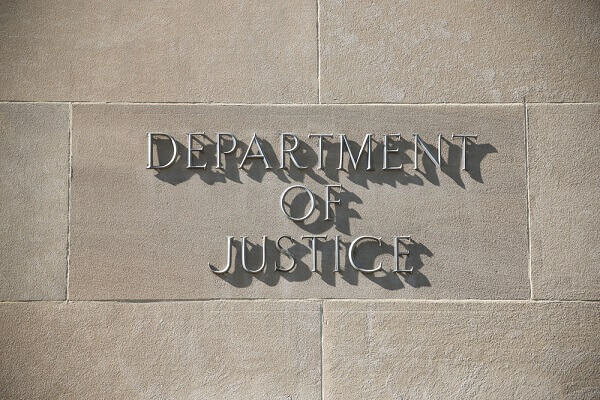 The Department of Justice and the Medicare Fraud Strike Force, now operating in nine cities across the United States, are both devoting significant levels of resources, as they target hospice firms that they feel have violated Medicare policies. Since 1983, hospice has been a Medicare benefit for persons with terminal conditions who have less than six months to live. The essential rationale for supporting hospice programs was the realization that a significant percentage of a person’s lifetime healthcare expenses are usually incurred at the end of life. Medicare’s support for hospice care was expected to be a more affordable alternative than the intensive sort of care provided in typical hospital facilities. For example, Medicare pays hospice organizations about $154 per day for patients with terminal illness, much less than care provided in hospital settings. The increased number of American patients who need hospice care. Baby boomers are now reaching the age when terminal illnesses begin to affect a large segment of American society. The length of stay for hospice patients has been rising steadily over the time period. In 2000, the average length of stay in hospice was 54 days. By 2011, it was 86 days. MedPAC points to a huge increase during the same fifteen-year period in the number of for-profit facilities in the hospice industry. The study group says that the number of for-profit facilities doubled from 2000 to 2012. MedPAC also reports that the average length of stay for a for-profit hospice facility is much longer than that of a non-profit – 105 days versus 68 days. MedPAC points to another problem: Now, 18 percent of hospice patients are discharged at the end of six months. In other words, there is some question as to why they were admitted to hospice in the first place. Hospice officials counter that some of the MedPAC statistics are misleading, that the medical issues related to hospice patients have become much more complex. When Medicare first began to pay for hospice services, most end-of-life patients suffered from cancer. Hospice officials say now about 36 percent have terminal cancer. Alzheimer’s Disease and dementia lead the list of non-cancer diagnoses, and the prognoses for these patients is much more difficult to predict. The DOJ strategy is aggressively targeting hospice firms, particularly for-profit enterprises. It has an army of attorneys and other experts at its disposal. In order to mount a successful defense to a Medicare/Hospice investigation, you need the same kind of competent experience on your side. The penalties for hospice fraud are severe and, in some cases, the DOJ need not even show that a violation was intentional. With so much at stake, an aggressive defense is a key to successful resolution of any fraud investigation. Oberheiden, P.C. has successfully represented clients in all sorts of federal fraud proceedings, including Hospice and Medicare Fraud. Among the firm’s attorneys are former federal prosecutors who understand the system and what it takes to develop a successful defense strategy. Located in Dallas, Texas, the Oberheiden, P.C. is a team of lawyers and courtroom warriors. The firm has the resources to provide the best defense possible. If you choose to work with us, we will use our decades of experience to help protect your vital interests. To start building your defense today, call (800) 701-7249 or contact us online now.